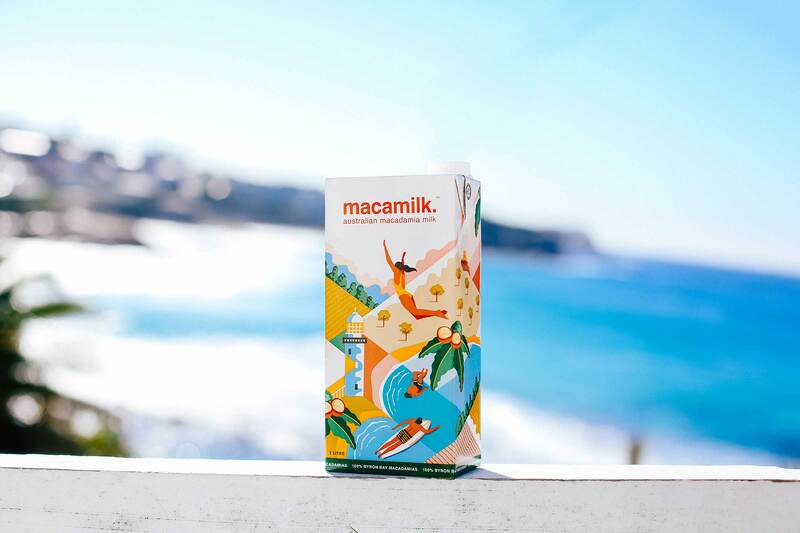 A native Australian Macadamia milk grown in idyllic Byron Bay, Macamilk is a more sustainable and delicious milk alternative. Our brief was to create a package that could be displayed like artwork on café shelves with a sense of continuity across the artwork. 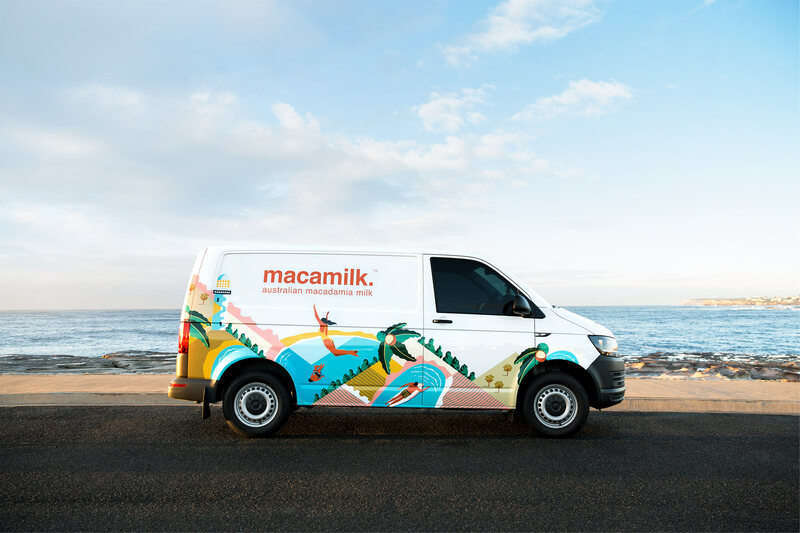 We based the design around an illustration that felt like the first swim of Summer; exuding energy and excitement with a distinctly Byron Bay landscape. The illustration is the hero of the package and becomes instantly recognisable when displayed on café counters or shelves. Using the lighthouse as an anchor, the distinct geometric lines allow the illustration to flow across multiple packages.